:O WHAT?! really? sigh... How will u re-wire yours? I'll just follow the "How-to" outlined on the first page of this thread. I don't need the stereo controls so I'll probably just take off the stereo control switches panel and replace it with my blank panel from my LS wheel. I was just slightly bummed because so many people were having success with getting the volume controls working as soon as the wheel was plugged in. But i guess base/LS 2010 Cobalts are not pre-wired for the stereo controls. Not a big deal since all i wanted was the leather wheel anyway...but it was worth a try. But what about the cruise?... thats whats more interesting. Does it absolutely need a TECH2 for cruise to work? Yes, you absolutely need a tech 2 to activate cruise. 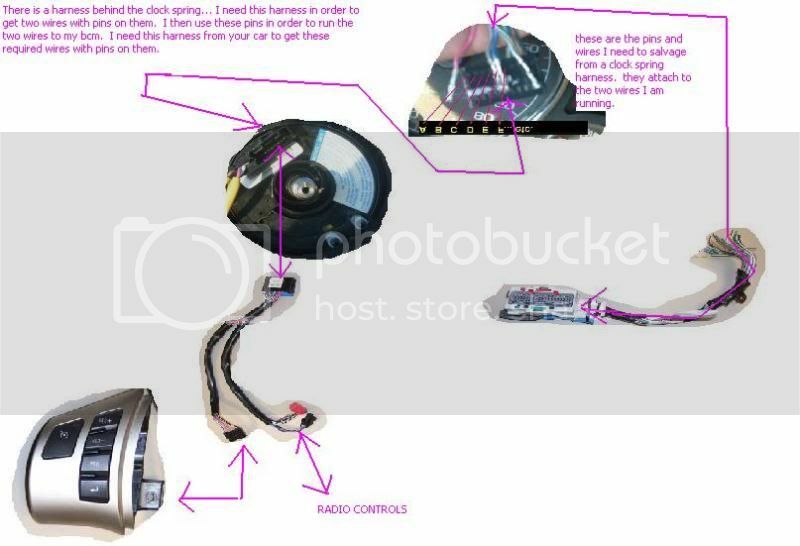 Ok thx, sorry If I repeat myself but does it need any re-wiring like in the how to to get the cruise working buy just plug-n-play? I have a base model myself. read the whole thing, there is pin 61 in the fuse box. you look there, if there is pre-exsisting wire running to it you already have cruise you can plug in the new wheel and have a tec-2 activate it. if you don't have anything running to that pin 61....you'll need to read the how-to. Going to the stealership to get the bcm flash either this weekend or next. Thanks to all who contributed to this How-to. It is truly the enthusiasts who know how to help others. blk08coupe ... so the dealership will do it? Success!! If you install the switches/wheel and you're still under the 3yr/36,000 mile general warranty, they should flash it for free. Just play dumb and say it "stopped working". You HAVE to make sure everything is connected as outlined in this how-to, otherwise, you're beating a dead horse. Yes it works......who needs to pay $190+ for an aftermarket, cheesy cruise setup.......not I!! So glad I found this how-to. Word of advice, when adding the pin to spot 61 in the BCM harness plug, be VERY careful when separating it as some wires can inadvertently "pop out". I lost place of a solid drk grn wire, but lucky for me, I have a friend with an '08 Cobalt I could compare to. I paid $35 for my steering wheel complete w/cruise buttons off of ebay so good deals can be had out there. I did a professional job, soldered, heat shrink, elec. tape everything to make it look as oem as possible. Man does anyone have an extra set of 4 square and 4 of the round pins?? I canot find any wrecked cobalts in my area.......anyone want to sell some??? Me either, but i'm hoping with all the snow and ice we've had this winter a few were wrecked. i got a 10 ss wheel for cheaappp. I have a 08 G5 that has the cruise control and the pioneer radio w/out steering wheel radio controls. I put it all in in less than 15mins and I now have steering wheel radio controls. It cost me less than 100bux for the parts. I didnt read this whole post, so, sorry if someone has already posted the info. Last edited by TTOP350; 03-13-2011 at 06:16 PM. 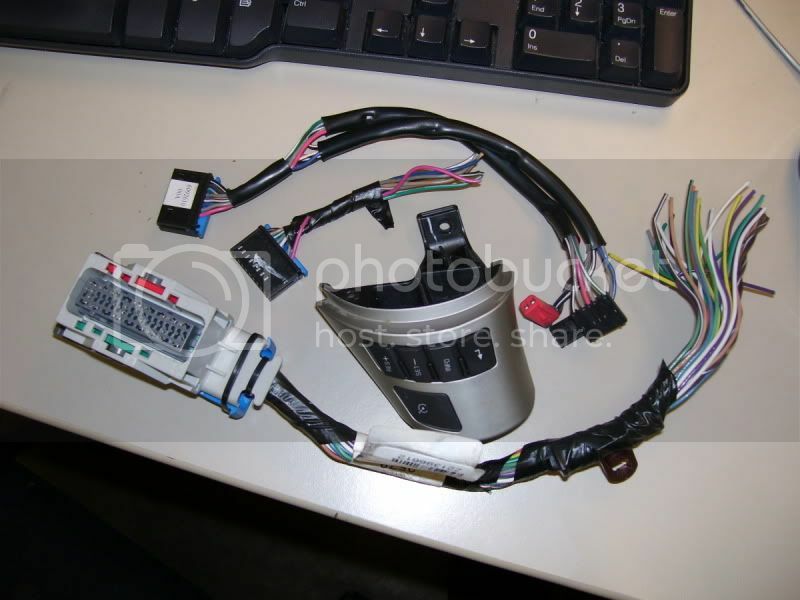 Hey guy im new on the forum so i wantto know if its work the same way to run tthe wire for an 06 cobalt LS ??????? Any trouble shooting advice for me: I bought harness 15234343 have the audio switch ending in 51 (and another from a Solstice ending in 58) and the cruise switch ending in 50 which should be correct pieces for the G5. Car has MP3 player CD radio that had the DIC buttons on left and smooth piece on right (where the stereo buttons are). it is a November 2006 built 2007 model year G5 with all power options (Like a Cobalt LT). The new harness when plugged in has the wires running opposite where the radio would be on the left and cruise on the right. It will pull the other way and do fine which is not really my issue. The harness has 3 plugs. 1 for the radio, 1 for the cruise, and 1 2 wire plug for? The new harness does not have a "red" plug to get the horn reconnected either. I did not do anything with the clock spring or any of that, plugged it all in, went to turn on the car and the Service airbag light is on. Radio controls don't work, and I know I have to get the BCM redone to have the cruise function so I can't say if it will work or not. It appears that the buttons light up fine. Not sure what I am doing wrong, or if the steering wheel buttons will not work now that the airbag light is on. Let me know if there are any fixes. I used my OBD II to try and reset the airbag light, but it did not work so I guess I need a Modis or Tech II for the fix. Do I need a new clock spring or anything to make the rest work, or rewire the unit to get it to run at all? so i went to the dealer today to get my rotors and pads replaced and asked about them swapping the wheel and they pretty much said they cant do it because its a whole lieability thing. You can do the swap with basic tools. I have to call BS on the dealer. I can understand not putting an aftermarket unit on the car for that reason. But swapping GM to GM is what they do all day long. Think, it you had a wheel issue and the car was under warranty, they would replace that steering wheel. So they can't do it any other time? You should be fine. I wuold say 15-20 minutes for someone who has never done something like this before. 8-10 for someone who has. Hardest part is pulling the wheel off after taking the nut off. Use your knees to hold the wheel in place while removing the nut. Put your hands at 11 and 5 to kind of shake back and forth pulling. This should come free after some hard constant pulling. Goes back in place much easier when done. Hope that helps! Yeah my wheel came off fairly easy with just a few good tugs at the 11 and 5'oclock. It was a super easy swap...I mean super easy. Just REMEMBER to disconnect the power from the battery and be careful with that airbag. Just did this install and went flawless, Thanks to the people who took the time to research all of this. Going to the dealer tomorrow to be turned on. I do have 2 questions, first I got the ebony leather wheel, I thought my steering wheel was ebony, apparently its dark grey, since the airbag and the cover around the ignition is a lighter shade. Do they make a dark grey leather wheel ? And I'm guessing my wheel come from a g5 cuz my steering wheel controls light up red. Can I change those ? It took me 1 hour to do my install....because I took my time... paranoid of ruining my new car. When I did my install, i accidentally forgot to plug the harness back into the clock spring. SO I had to re-do the whole procedure of removing steering wheel and clock spring to get to the harness. THUS the 2nd time doing this took me all but 10 min. Do it yourself dude... it isnt hard at all! I might as well dump what little resources I have left into this thread. here is a picture of all the parts he sold me that allowed me to complete the mod...(thanks to dbtk2 for this picture he took...and for selling me the parts from his car).